There were probably Jews living in Sicily during the period of the Second Temple. The great Jewish rhetorician Caecilius of Calacte moved from Sicily to Rome around 50 C.E. and the epigraphic records start in the third century. After this period, records are scarce. In 590, Pope Gregory the Great ordered the ecclesiastical authorities to reimburse the Jews of Palermo for the damage suffered by the expropriation of their synagogue. Following the conquest of Syracuse, the Arabs, in 878, took many Jewish captives to Palermo. In a privilege granted in 1094, after the Norman conquest, by Roger I, Jews are mentioned as residents of Naso. 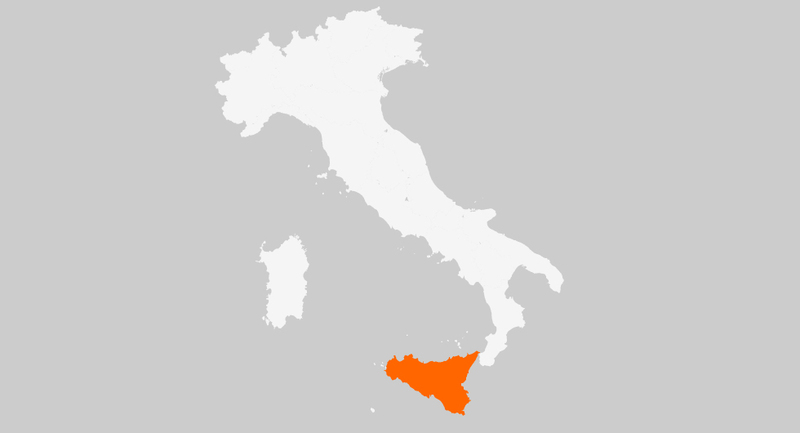 In subsequent records, Jews are mentioned in Syracuse, Messina, and Catania. Benjamin of Tudela (c. 1171) mentions the existence of Jewish communities in Palermo and Messina. Frederick II protected the Jews from persecution during the Crusades and entrusted them with a few state monopolies, such as silk weaving and dyeing. He also freed them from ecclesiastical jurisdiction. An edict of 1310, issued by Frederick II of Aragon (1296–1337), prohibited Jews from practicing as physicians and holding public office; they were also forbidden to have Christian servants. A decree of Frederick III (November 1375) limited the jurisdiction of the Inquisition over the Jews of Syracuse and stipulated that Jews could not be tried by that tribunal, unless a secular judge was present. If a Jew was sentenced, he could not be detained in the prisons of the Inquisition, but only in a state prison. Although King Martin V of Aragon, who ruled Sicily from 1392 to 1410, was well disposed toward the Jews and restrained any outrage against them, he could not prevent the forced conversion and massacre of the Jews of Monte San Giuliano in 1392. However, he punished those responsible. Jews in Sicily were frequently blamed for fictitious crimes and had to make amends by paying large sums of money, as happened in Catania in 1406. During the reign of Alfonso V (1416–58), the Sicilian Jews prospered. The restrictive regulations confining the Jewish population to ghettos and forced conversions were repealed by the sovereign; he also allowed Jewish physicians to practice their profession among Christians, confirmed the right of Jews to own real estate, and forbade the preaching of compulsory conversionist sermons to the Jews. In 1474, 360 Jews, including men, women, and children, perished in a bloody massacre at Modica. Another massacre took place in Noto, where 500 Jews are said to have lost their lives. Subsequently, acts of violence against the Jews alternated with measures to protect the communities. Under the Saracens, the Jews lived in conditions of semi-liberty and were subject to the payment of special taxes: the kharāj and jizya. Under Norman rule (from the second half of the 11th century), they enjoyed judicial autonomy and could settle their disputes in accordance with Jewish law. They were also permitted to own property (with the exception of Christian slaves); at times the sovereign ceded his rights to the bishops. 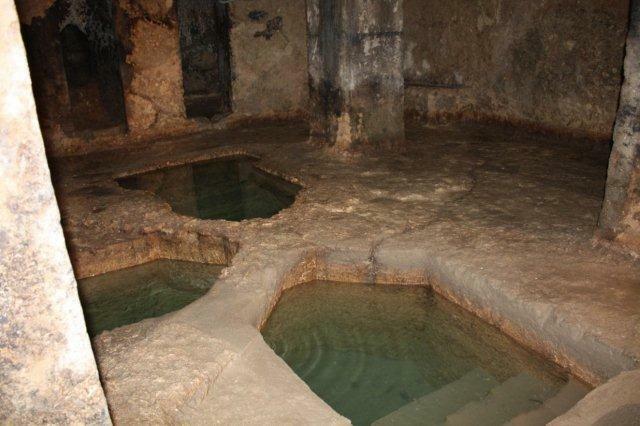 Although the Jews of Sicily enjoyed civil rights, they were formally considered servi camerae regis (“servants of the royal chamber”) under Frederick II Hohenstaufen, as well as royal protection. In 1395, under King Martin, Jewish jurisdiction, with limited competence, was extended to the whole of Sicily by the appointment of a Jewish chief judge (dienchelele). The first two chief judges were members of the Syracuse community: Joseph Abenafia and Rais of Syracuse. Following repeated protests by the Jewish communities on the island, who vigilantly guarded their juridical independence, this office was abolished in 1447 and judicial functions were finally conferred on the heads of the Jewish communities. The Jews of Sicily were obliged to pay taxes as citizens, apart from those which they paid as Jews. The communities were held responsible for the payment of the collective taxes. Limitation of civil rights or the imposition of taxes was varied at times by privileges granted to individuals or to communities. In general, 12 notables or proti acted as leaders of the community, assisted by councillors, who were in charge of administration. The latter could take action against those who were slow in paying taxes and could impound their possessions. They authorized weddings and divorces, ritual slaughterers, and the holding of offices in synagogue. In conjunction with the rabbi and the almoners of the community, the proti supervised all communal religious and administrative services and guarded against transgression of the directives contained in the regulations of the individual communities. Relations between the community and the government were a matter for the civic authorities, the representatives, and the special envoys. Occasional references in documents and manuscripts make it certain that Jewish learning flourished in Sicily, particularly during the Middle Ages. The first known European Jewish writer was the Sicilian, Caecilius of Calacte, who wrote rhetorical, historical, and critical works in Greek. Today, only a few fragments of these works have been preserved. The dayyan Maẓli’aḥ b. Elijah ibn Al-Bazak was probably the teacher of the celebrated talmudist Nathan b. Jehiel of Rome. Learned Sicilian Jews knew Hebrew, Italian, Greek and Arabic; some even knew Latin. Hence they could take part in the important task of translating scientific works, particularly from Arabic, into Hebrew or Latin. Faraj (Ferragut) b. Solomon of Agrigento wrote a commentary to Maimonides’ Guide of the Perplexed and translated for King Charles of Anjou the great medical treatise of Rhazes, known under the title Liber Continens. Moses of Palermo translated important veterinary works from Arabic. There was a notable circle of poets in Sicily in the 12th century, including Samuel b. Nafusi of Palermo, Samuel of Messina, Moses el-Ḥazzan, and Ahitub b. Isaac, who translated Maimonides’ treatises on Logic from Arabic. Another Sicilian scholar who distinguished himself was the dayyan Anatoli b. Joseph, who submitted a legal problem to Maimonides on behalf of the Jews of Syracuse. In the field of science, Jeremiah Kohen of Palermo wrote a commentary in Hebrew on De sphaera by Menelaus of Alexandria; Isaac b. Solomon Alḥadib wrote works on astronomy; and Elijah Kohen was author of a treatise giving astronomical tables for the latitude of Syracuse. In the sphere of biblical exegesis, Samuel Masnut, who later immigrated to Spain, was a poet and writer of aggadic commentaries on books of the Bible, and Jacob Sikili wrote a homiletical commentary on the Pentateuch. A representative figure of Jewish intellectual life in Sicily was Aaron Abulrabi of Catania (c. 1400), who wrote a work (which was subsequently lost) in defense of Judaism and a super-commentary to Rashi’s commentary on the Pentateuch. At the end of the 13th century, the Spanish kabbalist Abraham b. Samuel Abulafia also lived in Sicily. In 1466, King John II of Aragon authorized the Jews of the realm to open a studium generale, or university, with the right to appoint lecturers, to arrange courses and award diplomas. The text of Naḥmanides’ commentary to the Pentateuch (Naples, 1490) was revised and corrected by scholars of Messina. The last Jewish scholar to come from Sicily was Joseph Saragossi, kabbalist and talmudist, who founded the neo-mystic school of Safed; he probably was not a native of Saragossa in Spain, but of Syracuse in Sicily. The records of Jewish culture in Sicily – now dispersed in libraries the world over – are contained mainly in manuscripts written in the 14th and 15th centuries in Sciacca, Palermo, Noto, Polizzi Generosa, and Syracuse. On May 31, 1492, a decree was issued ordering the expulsion of the Jews from Sicily, similar to that promulgated in Spain shortly before. This decree came into effect in January 1493. It is estimated that 37,000 Jews had to leave Sicily. In 1695, again in 1702, and again determinedly in 1740–46, attempts were made by the government of the kingdom to attract Jewish settlement to Sicily again, but without success. In the period between the two world wars, a small number of Jews settled in Palermo. There were about 50 Jews living in Sicily in 1965.